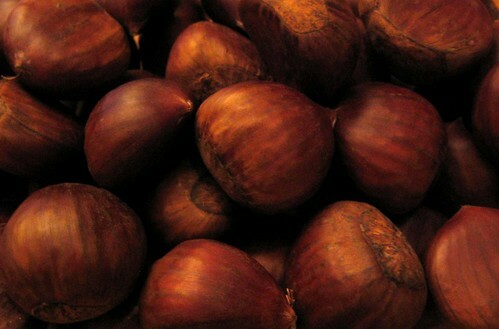 There’s nothing like roasted chestnuts at this time of year, I adore them. 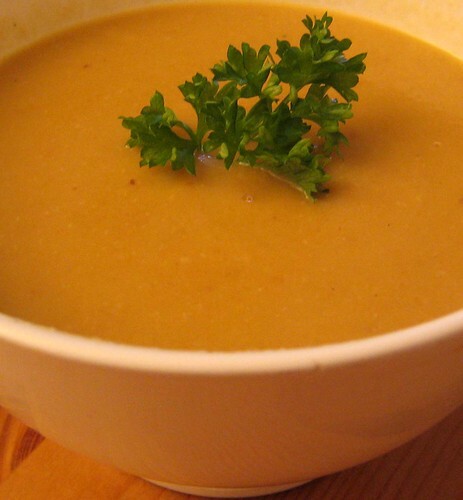 This soup really brings out their flavour and I think it’s equally good as a special starter for guests or just a solitary comfort. I used 500 grams of uncooked chestnuts and roasted them at 200c for half an hour (with slits in the shells to stop them exploding), but if you don’t want all the hassle of peeling them just use pre-cooked ones, vacuume packed or tinned. Sauté 2 rashes of chopped smoked bacon in a little butter until the bacon starts to release its fat. Now add one carrot, one stick of celery and one onion, all chopped. Sauté until the vegetables start to soften and colour then add the chestnuts and 1 litre of chicken stock. Bring to the boil then simmer for about 10 minutes until the vegetables are cooked through. Puree and season. Add a little cream if feeling decadent. You know I really think that I could live on soup and soup alone. This just screams winter to me. I can feel a trip out for some chestnuts coming on! oh yes you’re right, chesnuts are delicious and your soup looks so yummy ! !